Here’s how some companies have collaborated with C.H. Robinson to develop their integrated air-and-surface-transportation solutions. In logistics, there’s simply no substitute for integrated problem-solving. Companies can work closely with their logistics provider to select the best, most flexible options to meet their goals. Speed and efficiency were vital in delivering the product to our customer. Plenty of challenges can surface in the course of executing global logistics, no matter what industry you’re in. 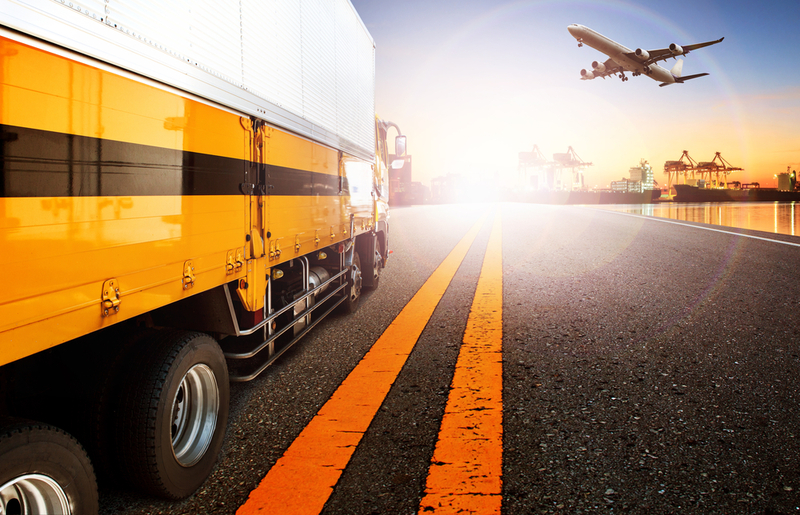 The ability to work with one company to service all your transportation needs – including ocean, air, customs brokerage, trade compliance, vendor management, and surface transportation is vital for having immediate and integrated alternatives to solve problems. This capability may be most valuable when it comes to air cargo solutions—where the clock is always ticking, and time is not on your side. Here’s how some companies have collaborated with C.H. Robinson to develop their integrated air-and-surface-transportation solutions. For retailers, launching a new video game successfully requires more than just the game itself. Merchandising support—in the form of posters, kiosks, and other materials that promote the product—is absolutely essential. So, when one company won a licensing agreement to merchandise a hot new video game to retail centers, they looked for an integrated logistics program that would help them meet the release deadlines. As is true of any bid for logistics services, the company could only share so much information in their request for proposal (RFP). The RFP had called for air charter lift services, but once they awarded the bid to us, we learned more. While the ship dates for the merchandising were uncertain, delivery deadlines were firm, and the company faced stiff penalties from retailers if they missed delivery deadlines. 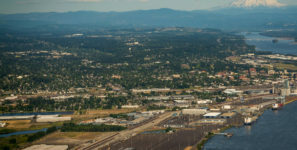 This information led to a review of cost and available commercial air lift options and recalibration of the initial plan. The resulting plan was fully integrated and lasted for roughly three months. It included a seven-day air transport, airport to door, from Asia into our warehouses at Los Angeles International Airport or Chicago O’Hare International Airport. The plan had to be flexible, and required extensive coordination. So, C.H. Robinson flew in personnel from our Miami office to the distribution centers in Los Angeles and Chicago to oversee all aspects of the handling and ensure that any last-minute problems could be resolved in real time. At the warehouses, shipments were broken down, repackaged, and segregated for delivery. Working backward from the in-house delivery date to ship dates, once known, the team selected the best transportation type to deliver to retailers in time. The challenges that surfaced in these moves required flexibility so that shipments could be moved via a variety of transportation modes. As products arrived at the warehouse and were segregated, faster or slower forms of transportation would be selected to hit the firm delivery dates. If there was sufficient lead time, less than truckload (LTL) shipments might be the best, most cost effective option; if time was tight, the freight might be shipped by the full truckload with team drivers. Wherever possible, LTL shipments would be consolidated and be delivered by multi-stop full truckloads for greater savings. Overall, the project required coordination of air freight and warehousing, plus full truckload, consolidation, or LTL deliveries from the warehouses to 30 U.S. destinations to meet delivery deadlines. With onsite coordination, the company had an on time delivery percentage of 99% at the retail locations. Automotive production lines have rigorous delivery requirements. Shipments are timed precisely so they arrive just in time for production. If anything goes wrong and materials don’t arrive as expected, entire plants can shut down, putting hundreds of people out of work and costing companies millions. So, when an automotive plant in the United States went down, they contacted another original equipment manufacturer (OEM) for help. The OEM needed to obtain product from six European suppliers and get them to the plant as soon as possible. At the time, air capacity was not as accessible. So, our team looked for the next-best alternative: partial charter for several skids of critical materials. The product was flown into Chicago, where a team of drivers was waiting. Due to pre-clearing customs, our team was able to breakdown the aircraft and load the trucks within two hours. Once the trucks were loaded at the warehouse, they headed inland to complete the delivery. Speed and efficiency were vital in delivering the product to our customer. Our skill is to find and offer different solutions to achieve the client’s goals and get the plant back in operation as quickly as possible. Sometimes urgent freight comes in big packages. A company in the automotive industry urgently needed to ship machinery from Chicago to Liuzhou, Guangxi, China. Because this was a last-minute request, however, their regular crating company in Michigan was unable to complete the job in time. That’s when the company contacted the C.H. Robinson project logistics team to find alternatives. Our team not only had a long-time relationship with the company, but also with crating companies in the Chicago area. The team used their knowledge, flexibility, and connections to find outside-the-box solutions, arranging for crating to take place the following day. As the crating was underway, the company also awarded the transport portion to C.H. Robinson. The urgently needed freight had to be shipped by air. Thirteen crates totaling 166 cubic meters and 44.6 metric tons were transported for the company, with the largest piece weighing 14 metric tons. Cranes were used to load the 13 crates onto the aircraft for transport from O’Hare in Chicago through South Korea to Guangzhou Baiyun International Airport in China. From there, the crates were transported inland to the customer’s door in Liuzhou, Guangxi, China. The company’s decision to work with one company to service all their transportation needs—including crating, air freight transport, and inland transportation service, provided a solution for their urgent deadline. The cargo was able to be delivered safely and quickly. In logistics, there’s simply no substitute for integrated problem-solving. Nowhere is that truer than with urgent freight requirements that require a multi-pronged transportation solution. When freight absolutely positively has to be there, challenges are sure to arise. Companies can work closely with their logistics provider to select the best, most flexible options to meet their goals. With proper coordination, and by working together, shippers can easily achieve their supply chain objectives—in the long and short term.